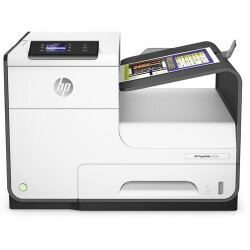 Generate sharp printouts with our compatible HP PageWide Pro 352dw ink cartridges and save time and money. Our compatible HP ink cartridges are economical and are designed following detailed product development protocols to ensure optimum print quality and proper page-yield. To ensure our customers receive a reliable product, these ink cartridges for HP PageWide Pro 352dw are tested and certified to meet or exceed industry standards. We offer an incredible 1-year warranty and 100% customer satisfaction guarantee on all printer cartridges sold on our website. Every shopper will also receive lifetime customer support.